My fellow org alumnus (of course I’m an alumna. English is a very difficult langauge, I tell you!) 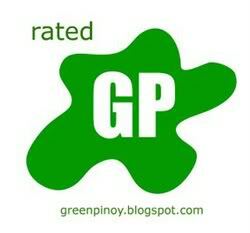 has decided to share his collection of Pinoy green jokes to the public. Will he be the next Gary Lising? We’ll see. By the way, I’m seeing a “trend” here in Sugoistuff. I hope the “trend” wanes after the members of Team Sugoi gets their well-deserved break this weekend. And though we do appreciate the Maria Ozawa posts, we’d rather not see Sugoistuff in the “banned sites” list either, do we?